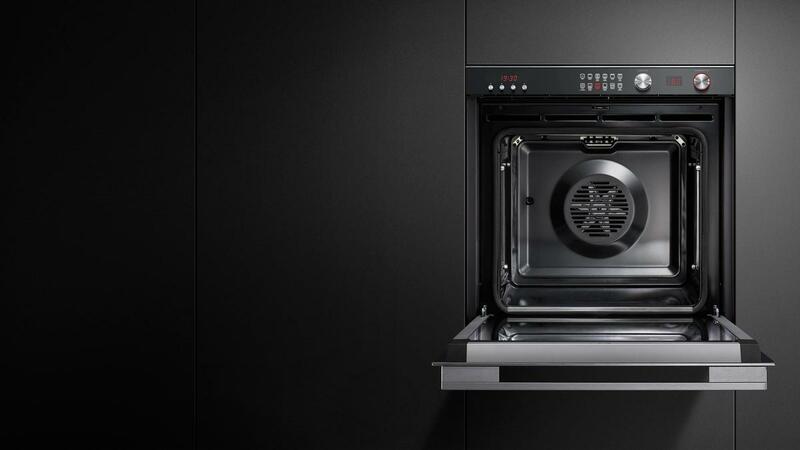 The Fisher & Paykel 60cm Pyrolytic Electric Wall Oven OB60SL11DCPX1 is built for performance, with ActiveVent technology and an intuitive control system that allows for precise mode selection across 11 cooking functions. The generous 77 litre internal capacity fits 30 percent more than traditional European ovens and this model offers a pyrolytic self-cleaning function. Finished in black reflective glass with polished metal trim. That's why this Built-in Oven features the unique ActiveVent system. 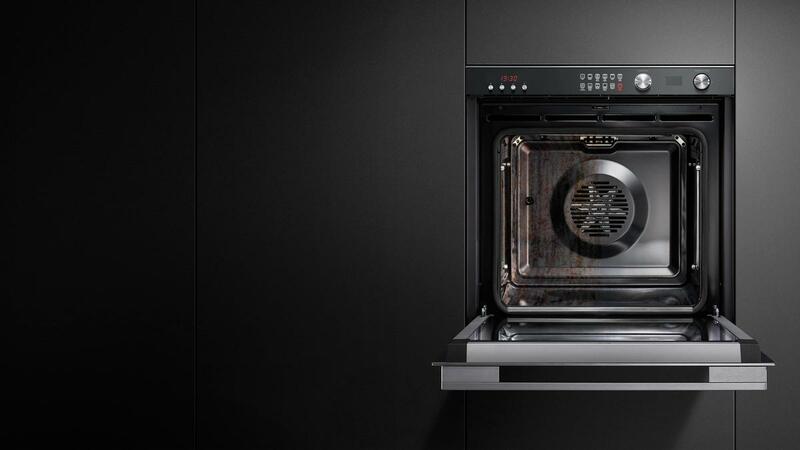 Fisher & Paykel's ActiveVent system allows you to control the removal or retention of moisture from the baking or roasting environment to get the very best cooking results and energy consumption. 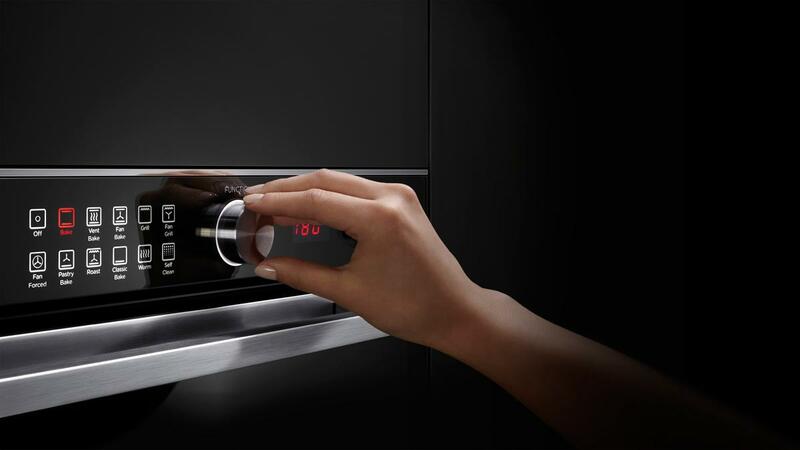 The range features models with 11, nine or seven oven functions. The 11 and nine function models have pre-set temperatures that deliver just what you need to cook each dish to perfection, at the touch of a dial. Sized to fit the food you cook, Fisher & Paykel has one of the largest Built-in Ovens on the market, providing 90L total and 77L of usable capacity. The maximised height means you are able to fit a large casserole dish, the family roast and even a pie as well— true multi-shelf cooking. 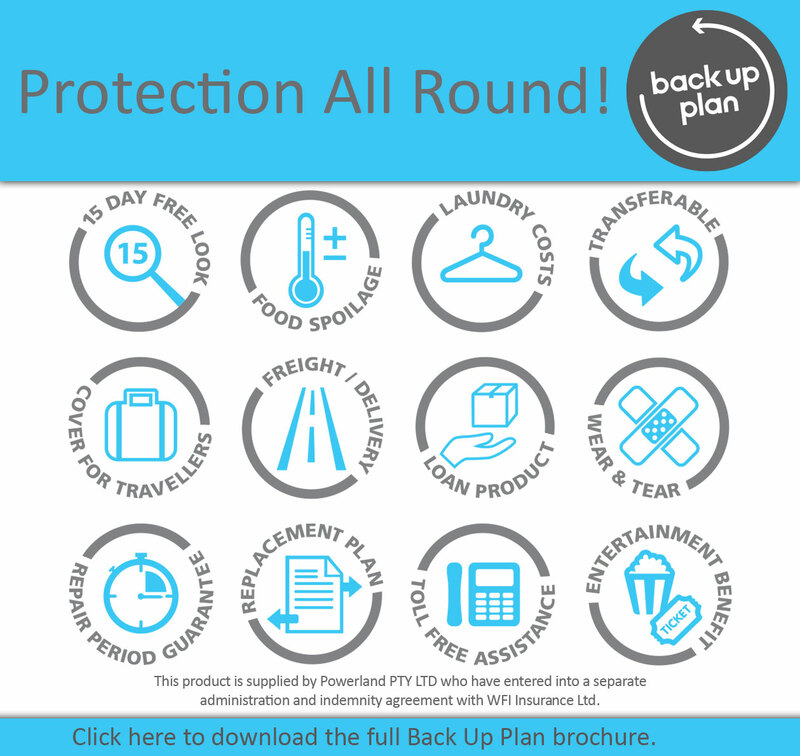 Two shelves can be fully utilised at the same time without hot spots or uneven browning. A 5.5kg turkey or other cut of meat can be deliciously cooked using the optional rotisserie kit. This 11 Function Pyrolytic Built-in oven is finished in black reflective glass and stainless steel that blends elegant, minimalist aesthetic with design for durability. 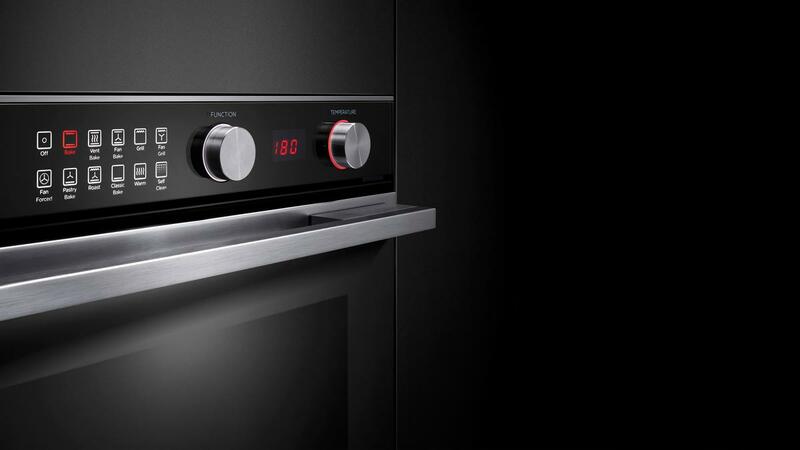 The finish and handle matches the rest of Fisher & Paykel’s coordinated companion product family. Our pyrolytic self-cleaning models break down food residues at a very high temperature, leaving light ash that’s easily removed, while our catalytic models break down oil and fat splashes during normal cooking.